Since the beginning of time, men and women have always remained fashionable in one way or the other. From clothing made out of loin to cloaked attire, from gown and coats to the fascinating accessories of the 19th century, fashion has indeed been prevalent in every season from year to year hence renovating their way of dressing from time to time (Miller & Mills, 2012, 1471-1479). Brand Equity Fashion in the past, can be also contributed to the elite fantasies held by people, right up to the mid-1850s, when the first Paris based British professional fashion designer emerged. Initially, Paris was the only place that reined the fashion industry, however soon other names such as Milan and London caught up, introducing their own line of fashion niche. If the fashion industry remained stagnant then it would have already become unstylish and died. Subsequently, today there are endless designs and customer segments, prevalent within the fashion sector (Miller & Mills, 2012, 1471-1479). In today’s fast paced world of fashion, the success of global retailers depend a great deal on their ability to be able to put the right items in the right style or size in the hands of the consumers but at the right time. This may seem to be a simple concept but can at times be quite tedious to execute (Li, Li & Kambele, 2012, 1516-1522). After meeting with Andrew Ramroop and hearing the success story, I have decided to follow his example and penetrate the international market with my newly established fashion clothing and accessory brand, called El Lujo. SWOT analysis, a form of strategic planning, is ideal for volatile fashion industry. The SWOT analysis evaluates “strengths, weaknesses, opportunities and threats” involved with the set business objectives (Barney, 2008, 99-120). They consider both internal and external factors. The analysis then defines the favorable and unfavorable factors and their potential impact on the ultimate goal. A SWOT analysis covers four areas of consideration. First, the “strengths” take into account the internal attributes that positively influence the business objective. The second area, “weaknesses”, identifies possible weak points within the control of the company which may result in a negative outcome (Barney, 2008, 99-120). The third category, “opportunities”, analyses the external conditions that favor the achievement of the final goal. Finally, there are the external “threats” that are beyond the control of the company to be assessed. Some of the strengths of El Lujo include clearly manifested competence, adequate financial resources, the high competition, a good understanding of consumers, clearly articulated strategy, the use of economies of scale, its own unique technology, a reliable distribution network, high fashion R & D and etc. Any unusual or unnecessary cost, lack of reputation in the high-end fashion market or lack of presence in a particular region are considered as weaknesses. The loss of certain aspects of competence, lack of access to finance, lack of analysis of information about consumers, the weakest market participants, lack of a clear strategy, inconsistencies in its implementation, high costs of production, obsolete technology, the loss of depth and flexibility of management, weak distribution network, weak positions in R & D etc. are all weaknesses that El Lujo may face. Entering new market segments, expanding the range of luxury goods, complacent competitors, the reduction of trade barriers, enabling economic, political and social conditions, resource availability, etc. are the opportunities that El Lujo will be considering as opportunities for business profitability (Barney, 2008, 99-120). Economy and the politics are the principle threat to a fashion brand. Political instability in the region of raw materials supply, trade embargoes, and financial crises result in limited consumption expenditures etc. are some of the threats to the accessibility of raw materials, distribution, exposure of brand and brand recognition, and consumer buying (Barney, 2008, 99-120). Fashion orientation is considered as an important source of new market research related to the worldwide clothing industry. Consumer behaviour, lifestyle, and shopping purpose can affect activities throughout the fashion supply chain. However, the fashion industry is an increasingly global business with considerable variations in the cultural, social, and economic aspects of the participants (Cadogan, 2009, 119-130). Consequently, the practice of fashion marketing is not uniform at a national or international level, and differences are necessary to appeal to different subcultures. That’s why researchers and managers have been paying increasing attention to the effects of acculturation on fashion orientation. Most fashion designers allocate 20-30 percent of their expenditures to marketing efforts, partly funding customization of marketing campaigns to appeal to different subcultures(Li, Li & Kambele, 2012, 1516-1522). Luxury fashion brands have become a powerful force in the world and have grown not only in numbers, but in terms of influence and visibility. They have, “moved from backstage to center stage in world market, and are exerting their power and influence in every aspect of international relations and policy making” (Cadogan, 2009, 119-130). Today, international fashion brands play a major role in reducing boundaries and creating international successful brands. Although very numerous, the international business sector is highly consolidated with the largest 20 international organisations accounting for 50% of revenues and sales (Gilbert, 2007, 25-26). Fashion advertising studies have revealed that consumers have definite preferences for advertising. According to findings by Bowman, (2010); apparel styling affected evaluations of advertising appeals. Bowman, (2010) additionally observed that high self-monitoring subjects were willing to pay more for items if the item was publicized with a picture, and were all the more ready to buy an item if the image appeal was promoted. Low self-monitors responded all the more positively to item quality oriented advertisements and were willing to pay more for items if they were publicized with a quality orientation. Low self-monitors were additionally more eager to pay more if the item be promoted with a quality orientation, and all the more ready to buy an item if it had a quality claim. In addition to the challenges of increased competition, international organisations are facing a crisis of brand equity. Bowman, (2010) suggests that at the root of this crisis, is the extent to which international organisations lack brand representation and accountability to the consumers. In addition, critics argue that international organisations lack proper branding strategies to justify their products and services in terms of values. Current environments with high levels of globalization have led to large enterprises manufacture their products in less developed countries to reduce their production costs, while firms in developing countries do in other developed countries to take the prestige of those markets (Barney, 2008, 99-120). From the demand side, consumers rely heavily on extrinsic signals, such as trademark, perceived quality or price in the when evaluating products. Under such scenarios, it is increasingly difficult to achieve sustainable competitive advantage by Porter. One of the attributes that have the potential to achieve sustainable competitive advantage, both domestically and internationally, is the country of origin or the country image of a product for (Barney, 2008, 99-120). Therefore, it is becoming of greater interest to countries to implement marketing strategies would achieve a position against other countries. Furthermore, include the strategic role played by brands to the great diversity of offerings undifferentiated, saturation in the media and the influence of new technologies information (Azuma & Fernie, 2003, 4). The increase marks the perceived usefulness and the desire to possess them, are indicators of safety for consumers and sources of origin, since activated signs of its origin among consumers when they come into contact with the same (Li, Li & Kambele, 2012, 1516-1522). Li, Li & Kambele, (2012) suggests that luxury fashion brands like El Lujo have three strategies open to them: incremental change (which he suggests may be “too little too late”); global marketing, defined as the aggressive marketing of the organisation’s brand; and third, new branding strategy, that leverage change by working in collaboration with “markets, businesses, ideas and attitudes.” It is this third option that Li, Li & Kambele, (2012) consider potentially the most attractive route forward for international organisations. To focus on the impact of a particular segment of the market, luxury fashion brands like El Lujo must use commodity branding and develop appropriate and develop the theme of Brand Equity or Brand Value. The strategic management of brands is to design and implement marketing activities and programs intended to create, measure, and manage brands to maximize value. One of the key concepts of this process is called “brand equity”, defined as the value added which provides products and services. This value is reflected in how they think, feel and act consumers regard to the brand, or price, market share and profitability that creates the brand for company (Aaker & Joachimstaler, 2000, 347-356). For branding strategies to be successful and generate brand equity, consumers should be convinced that there are significant differences between brands of the same category products or services. This is the reason for the branding: promote the differentiation of a mark for its competitors and its products very similar (Aaker & Joachimstaler, 2000, 347-356). 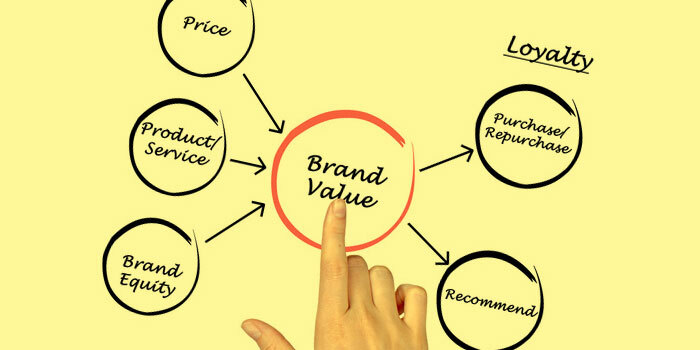 To achieve high brand value it must achieve a series of attributes that are indicative of their strength. (a) “Differentiation” refers to a strong brand should be unique and distinguishable from other brands by consumers. (b) The “relevance” indicates the attractiveness of the brand: to what extent my brand communicates attributes important in satisfying the desires of my customers? (c) A strong brand should achieve “high estimates “, a high degree of appreciation, affection and respect that the brand receives. (d) The brand strength is associated with a “high knowledge” and level of familiarity and intimacy of consumers with the brand. Finally, a mark must be achieved through communication symbols and a (e) shows strong associations Identity positive light on what it means and what the brand promise to consumers (Aaker, & Joachimstaler, 2000, 347-356). A strong brand is not just about trademark, logo or name. Branding is a procedure that relates to communication, company strategy and target market (Abell, 2008, 45-58). There are many elements attached to branding such as images, association, culture and stories. The elements of brands can be inspired by consumers and Internet users. Strong brand is exists among consumers, as it is hard for individuals to switch from one strong brand to another brand and abandon their original conventions. Due to the nature of strong cultural collectivism in China, the social context of brands becomes an important characteristic (Abell, 2008, 45-58). Strong brand can help consumers by reducing the perceived risk in their purchase behavior. Perceived risk is about the acceptance of uncertainly and the complex result of purchasing product or service (Abell, 2008, 45-58). There are 6 dimensions included in perceive risk: “performance, financial, opportunity/time, safety, social and psychological risk” (Azuma & Fernie, 2003, 4). Strong brands can give consumers a promise of suitable value on the goods or services they offered. Through getting this promise consumers can make a stronger purchase decision on the strong branded products. Creating a strong brand can also drive shareholder value. The initial target of the boardroom is to create and sustain shareholder value, and get return from the competition process. One way to achieve this target is to build a brand with strong brand equity. Tim Ambler proposes: “Brand equity is the reputation assets that any successful business builds in the minds of customers and other stakeholders” (Azuma & Fernie, 2003, 4). It is also one of the reasons that capital in the market is higher than the value that set before. The future financial performance of a brand can be predicted according the strength of its brand equity. Product: Marketing facets of products as per the details of their products or services, and how it identifies with the needs of consumers. The extent of a product mostly incorporates supporting components, for example, guarantees, warranties and product quality that is principally focused. The wide range of fashion product by El Lujo is safe to use and are produced through natural resources that focuses the beauty of the customers. The fashion products are more focused and are taken into account through the advertisements and promotional strategies. The products of the body shop are more focused on the quality. Price: This means the procedure of price fixing of product, together with discounts. The price does not require to be fiscal, yet it may be what is traded for goods or services, for example, time, attention, or energy.The price remains a fundamental component of the marketing mix given its impact on market share and profitability. Despite popular belief, fashion products do not cost more than conventional products, and are therefore addressed to a wide audience. It takes on average 500€ to 1000€ for the fashion products to be purchased by the customers, who love them. It is found that the economical premium brands are even less expensive than their conventional counterparts. Placement: This involves to how the goods reach the consumers, for instance, position of retail or point of sale. The third P has additionally been called Place, which refers to the channel which is used to sell a product or service (e.g. retail versus online), which geographic area or market, segment (young generation, families, business, and so on.). Ko, E., & Megehee, C. M. (2012). Fashion marketing of luxury brand equity: Recent research issues and contributions. Journal of Business Research, 65(10), 1395-1398. Li, G., Li, G., & Kambele, Z. (2012). Luxury fashion brand equity and consumers in China: Perceived value, fashion lifestyle, and willingness to pay. Journal of Business Research, 65(10), 1516-1522. Liu, F., Li, J., Mizerski, D., & Soh, H. (2012). Self-congruity, brand equity attitude, and brand loyalty: a study on luxury brands. European Journal of Marketing, 46(7/8), 922-937. Miller, K. W., & Mills, M. K. (2012). Contributing clarity by examining brand equity and luxury in the fashion market. Journal of Business Research, 65(10), 1471-1479. Moore, C. M., Doherty, A. M., & Doyle, S. A. (2010). Flagship stores as a market entry method: the perspective of luxury fashion retailing. European Journal of Marketing, 44(1/2), 139-161. Thanks for posting this. I will use some of the content and references in my own branding dissertation. Do you have any marketing dissertations specifically writing on sports branding in the UK or US ? No problem and thanks for the positive comments. Be sure to fully reference all material used. Feel free to check our Marketing Dissertation Titles out too.